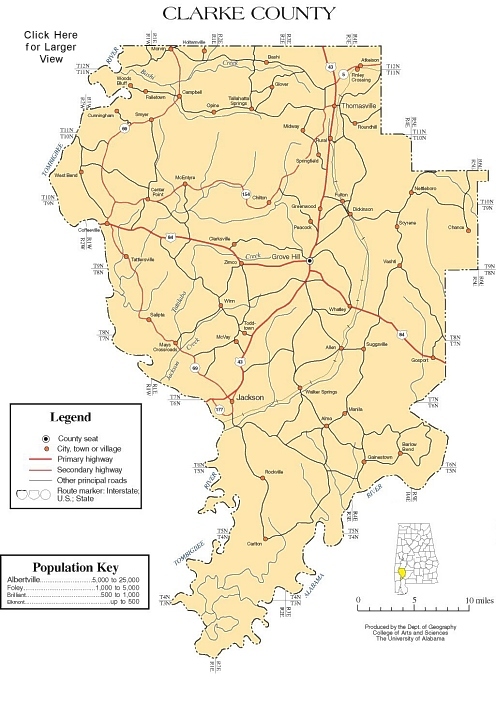 Clarke County is bordered on the north by Marengo County and to the northeast by Wilcox and a small portion of Monroe County. It is separated from the remainder of Monroe County and north Baldwin County by the Alabama River and from Choctaw and Washington Counties by the Tombigbee River. 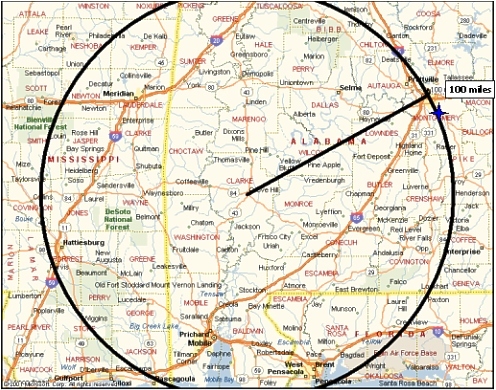 It is somewhat triangular in shape with a width of some 40 miles across the north and extending southward about 60 miles to the junction point of the two rivers. 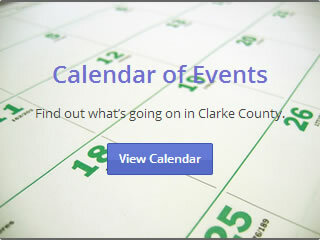 Clarke County has highway and interstate accessibility including US-43, US-84, and US-80 connecting to I-65, I-20/59, I-10, and I-85 within a 100-mile radius. U.S. Highway 43 (north and south) and U.S. Highway 84 (east and west) both pass through Clarke County. It is important to note that extensive improvements and enhancements of all three US Highways are included in the Alabama Department of Transportation’s Five-Year Plan with US Highway 43 slated for upgrade to the West Alabama Freeway.